Whether you’re searching for wet cutting core bits or dry cutting core bits, you can find them right here at U.S. Diamond Tool. It doesn’t matter if you’re cutting tile or concrete, we have reliable diamond core bits you can trust to get the job done. Unlike other budget brand diamond drill bits, our bits are manufactured to the highest standard to ensure longer life and cleaner cores. Choose from premium and supreme quality bits whose superior performance will be noticed immediately. 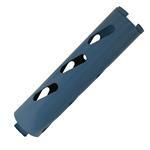 Browse our categories of diamond wet and dry coring bits below. Within each category you will find even more categories of specialized concrete coring bits, countertop bits, asphalt bits and more. If you need assistance choosing the correct coring bit for your project, give us a call at 1-800-582-1429, we will be happy to help you find just the right tool to get the job done! Drill dry through block and brick in seconds. No water needed. Adaptors for hammer drills and rotary hammers available. Use bits in rotary mode only.